The Benefits of Using an Accountant. There is no legal requirement to employ an accountant, but a large majority of taxpayers choose to do so. What are the biggest advantages? Accountant can help you to manage and control finances and plan for future growth, without impacting on the resources of the business, allowing your staff and you to focus on what you do best. Business owners and individuals looking to make tax savings should seek professional advice. HM Revenue & Customs can’t offer that service so you will need an accountant. Tax planning reviews can prove extremely useful and should ensure you only pay as much tax as you are legally obliged to. Accountants can help you meet your reporting requirements and payment deadlines, which should mean you will avoid incurring any late filing or payment penalties and interest. Experienced accountants will also be well versed in the preparation of cash flow forecasts, budgets and business plans. At TaxAssist Accountants our personal service means you can meet with your local TaxAssist accountant who will determine exactly how we can help your business and you free of charge, with no obligation to use our services afterwards. 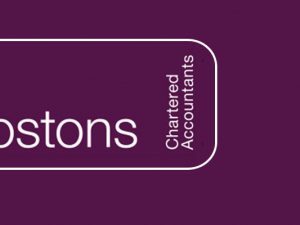 We take pride in being different from other accountants and are happy to act as business advisors in order to help you grow your business.